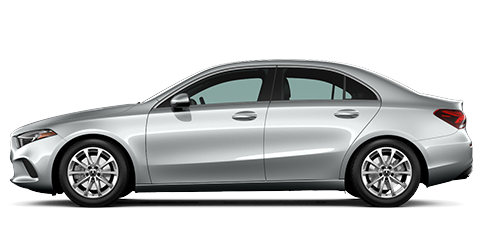 The 2019 Mercedes-Benz A-Class is a newly introduced luxury sedan that lives up to the great reputation of the Mercedes-Benz brand delivering fun and luxurious driving at an unbeatable price point. It offers an impressive list of features and a great look with its 17-inch wheels. The 2019 Mercedes-Benz A-Class is high-end sophistication on a budget. A side-by-side comparison with other luxury sedans in its class, like the Audi A3, yields great value in favor of the 2019 Mercedes-Benz A-Class. The 2019 Mercedes-Benz A-Class is available in 2 trims: the Mercedes-Benz A 220 and the Mercedes-Benz A 220 4MATIC®. Both models of the 2019 Mercedes-Benz A-Class come in dazzling exterior colors like Digital White Metallic, Denim Blue Metallic, Jupiter Red, and Night Black. You can customize your 2019 Mercedes-Benz A-Class with a number of available packages like the Mercedes-AMG® Line with Night Package, the Driver Assistance Package, the Multimedia Package and others. Come meet and test-drive the all-new 2019 Mercedes-Benz A-Class today at Mercedes-Benz of Gainesville. The interior cabin of the 2019 Mercedes-Benz A-Class is well designed to display high-end and stylish materials with the driver having easy access to the instruments on board. Some of the nicer features of the 2019 Mercedes-Benz A-Class include a panoramic sunroof and dual-zone automatic climate control. There are power-adjustable leatherette bucket seats up front and plenty of legroom in the back row. A new infotainment system setup has been introduced with the all-new 2019 Mercedes-Benz A-Class. The Mercedes-Benz User Experience (MBUX) with voice recognition is used for navigation, temperature, and audio control settings. Standard with the MBUX is 5 USB ports, smartphone integration with Apple CarPlay™ and Android Auto™. An optional upgrade of the MBUX in the premium package will afford you wireless device charging and a Wi-Fi Hotspot. Also optional are even higher levels of sophistication in the cabin like multi-color interior ambient lighting. 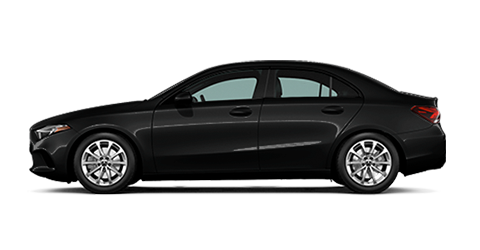 Come discover so much more about the brand-new 2019 Mercedes-Benz A-Class at our dealership in Gainesville – Mercedes-Benz of Gainesville. The entry-level front-wheel drive 2019 Mercedes-Benz A 220 features a powerful 2.0L turbocharged engine that puts out 188 horsepower and 221 lb-ft of torque while using a 7-speed dual-clutch automatic transmission. The 2019 Mercedes-Benz A-Class displays responsive handling in tight corners. The ride is dynamic, quiet, and quite comfortable, especially when equipped with the optional Active Suspension System. Come test-drive the power of the turbocharged engine in the peppy 2019 Mercedes-Benz A-Class today at Mercedes-Benz of Gainesville. The 2019 Mercedes-Benz A-Class, despite its affordability, does not cut corners when it comes to ensuring your safety and the safety of those with whom you share the road. Some of the standard safety features among others include Daytime Running Lights, Integrated Turn Signals, and Forward Collision Warning when it appears that a collision is unavoidable. Standard Automatic Emergency Braking can reduce further impacts after a collision, and it works with standard Pedestrian Detection. Available premium advanced safety features include rear side airbags, Adaptive Cruise Control, Lane Departure Warning, Lane-Keep Assist, Blind Spot Monitoring, a Surround-View Camera system that can be quite helpful when attempting to park your vehicle in those tight or difficult parking spots. The optional Mercedes-Benz PRESAFE® Plus technology using radar can be of great assistance to the driver in an emergency situation. 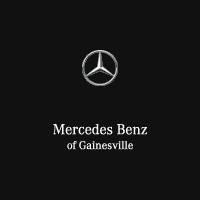 Mercedes-Benz of Gainesville proudly serves drivers in Gainesville, Ocala, Orlando, The Villages and other surrounding communities in Florida. A superior customer service experience awaits you at our Gainesville car dealership if you are considering acquiring the brand-new 2019 Mercedes-Benz A-Class, any other Mercedes-Benz Model or a late-model Certified Pre-Owned Mercedes-Benz Vehicle in our showroom. Our Finance Experts will be happy to guide you in finding just the right car loan or short-term lease that matches your budget. In your visit to our Gainesville, FL car dealership, we invite you to also come see our state-of-the-art Service Center where our friendly and highly skilled Mercedes-Benz technicians use certified and genuine Mercedes-Benz products and services to maintain your prized Mercedes-Benz vehicles in the best of shape for many years. For your convenience, we offer complimentary pick-up and delivery service for the Villages, Ocala, Lake City, Hernando, Summerfield, Beverly Hills, Inverness and the surrounding areas. With an appointment scheduled in advance, we will send a driver with a loaner vehicle to your home, office, golf course or wherever you are to pick up your vehicle and bring it in for service. There is no cost for the convenience of using our drivers; however, we do ask that you have enough fuel in the vehicle for the trip back and forth. Stop by our Gainesville car dealership to test-drive the brand-new 2019 Mercedes-Benz A-Class today.